YES. – let me think. Always relevant. 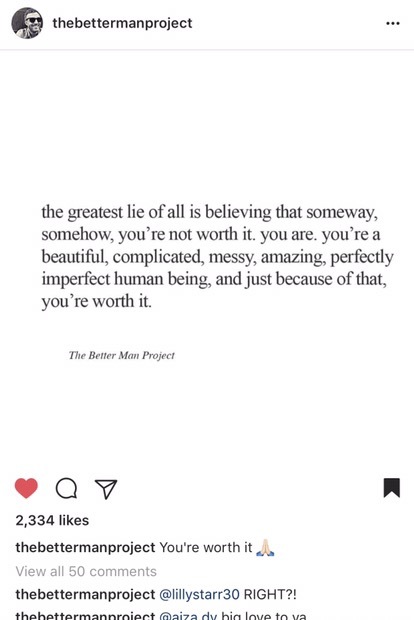 💜 Thank you, the better man project.